A lifetime of angling and a career as a Coast Guard helicopter pilot somehow led me to beautiful Asheville and the wonderful trout streams of western North Carolina years ago. 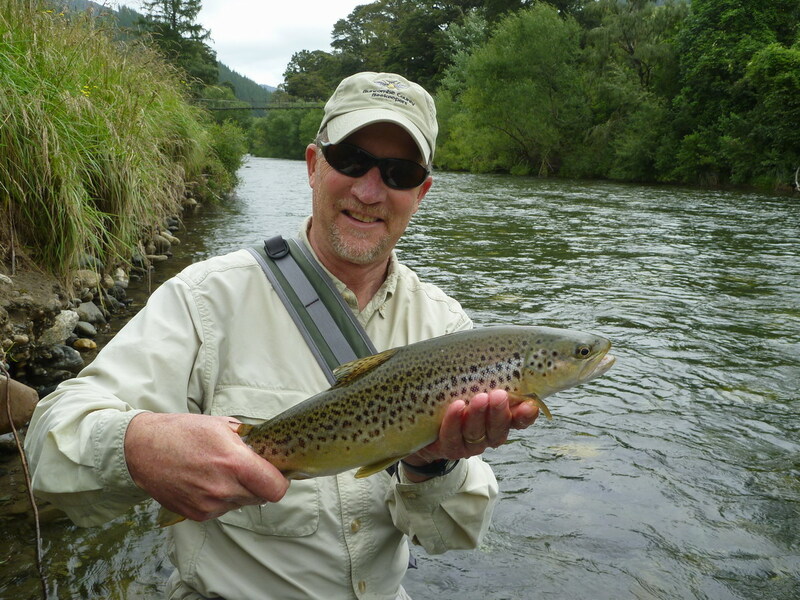 I am a fully licensed, insured guide in the state of North Carolina and proud to be a member of Tenkara USA’s Tenkara Guide Network. Unreel Fly Fishing is one of a select group of outfitters that hold a permit to guide on the rivers within the Pisgah National Forest. I am a member of the American Fly Fishing Trade Association and maintain current Wilderness First Aid and CPR qualifications. I am also a certified Fly Fishing with Disabilities Instructor. I love the fun and simplicity of tenkara style fly fishing. There is nothing I enjoy more than teaching someone new to fly fishing this beginner-friendly approach or seeing “old pros” slowly come around to a new, cheaper and highly effective way to enjoy our sport. Through a leadership role with the North Carolina Council of Trout Unlimited, I am an active advocate for cold-water fisheries conservation. At Unreel Fly Fishing we practice catch and release only fishing and endeavor to leave every stream a little better than we found it. I also have the great privilege of a long association with Project Healing Waters Fly Fishing, an outstanding organization that utilizes fly fishing and related activities as a therapeutic outlet for recovering wounded warriors and disabled veterans. Please check out the link on my home page to learn more about their tremendous work.